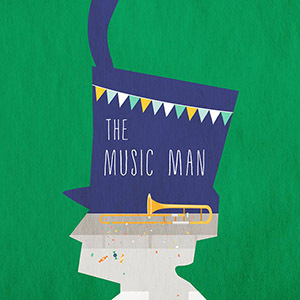 This classic, family-friendly, six-time TONY Award winning musical comedy follows fast-talking traveling salesman Harold Hill as he cons the people of River City, Iowa into buying instruments and uniforms for a boys’ band he vows to organize–this despite the fact he doesn’t know a trombone from a treble clef. His plans to skip town with the cash are foiled when he falls for Marian the librarian, who transforms him into a respectable citizen by curtain’s fall. Presented through special arrangement Music Theatre International, Inc.
Tickets are not yet released for this event. Please stay posted at www.stage62.com to purchase tickets.